One of the things that never ceases to amaze me is that before October even hits, the stores are starting to stock Christmas items. Thanksgiving stuff is out before Halloween is even nearby. And I'm starting to expect to see Groundhog's Day or St. Patrick's Day items on the shelves before the first cold day of winter. But, either you fight the system or you join it, and I have a feeling that this continuously growing trend to push out holiday items months before they arrive won't be going away any time soon, so I might as well jump on board. So here you have it. 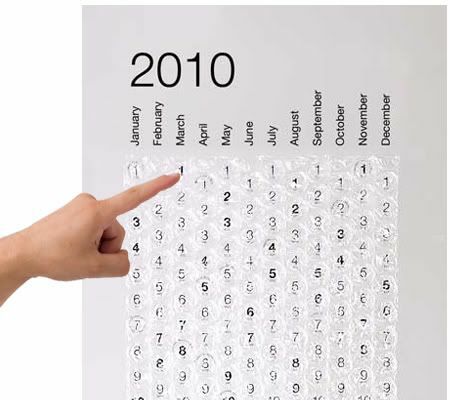 It's not too early to mention this quirky 2010 pop-the-bubble calendar. Gone are the days where you cross out the dates with a black or red sharpie marker. Just pop away all the stress of each day, wee! What? You're not a bubble popper? Fiiinnneee. 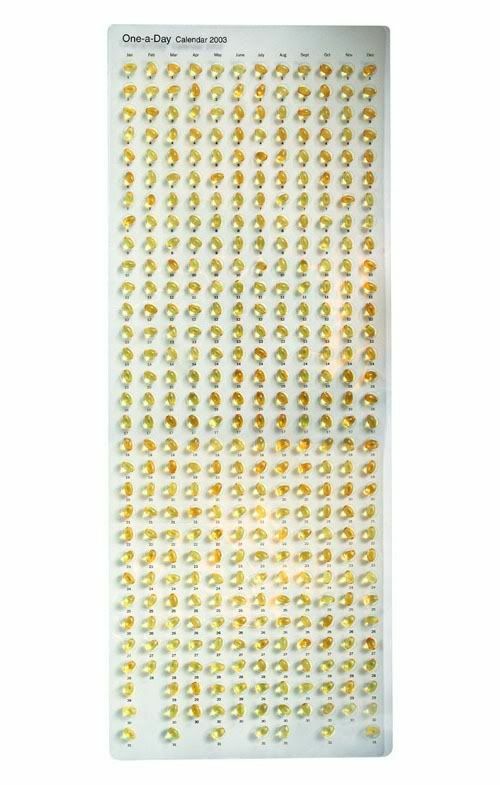 It would be sooooo hard to only pop one bubble a day. I'd have a hard time resisting popping more than one, too.